The Netflix / Marvel panel at New York Comic Con gave us some very exciting, breaking news about what's to come including the premiere of the first official Iron Fist trailer. During the first few seconds of the new trailer (as you can see above) we happened to notice a very familiar face from the Daredevil Netflix series - Madam Gao is looking down on all and wearing a white suit in what looks to be a dark warehouse setting. In Daredevil, Madam Gao was a very powerful woman who ran her own brand of heroin, Steel Serpent in Hell's Kitchen. While fighting off the efforts of the vigilante Daredevil, Gao betrayed Kingpin Wilson Fisk and as a result decided to leave New York City and head to her homeland to reflect upon the future. However she soon returned (or never left) to continue her successful heroin trade, gaining a rival known as the Blacksmith. When Daredevil came to Gao asking for information about Blacksmith, she manipulated both Daredevil and The Punisher to kill him. She's known for visciously blinding her workers, who somehow stay very loyal to her. Gao is a wise woman and a ruthless criminal at the same time. However, a very popular theory is that Madame Gao is really Crane Mother, who was introduced in the The Iron Fist comic books. She is the powerful ruler of K'un Zi, one of the Seven Capital Cities of Heaven. 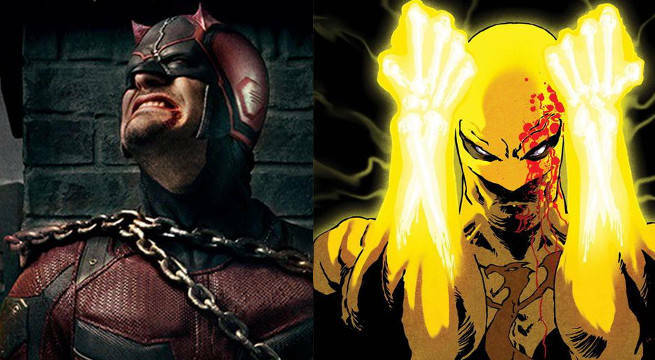 Marvel has been hinting at this connection since season one of Daredevil, now we may actually see it happen in Iron Fist. Daredevil seasons 1 and 2, Jessica Jones season 1, and Luke Cage season 1 are all available on Netflix. Iron Fist will premiere on March 17, 2017. The Defenders expected later in the year. The Punisher does not have a release date yet.